Now if you're here from Jaded Blossom you're in the right place, if you're just passing through start at the beginning because you don't wanna miss anything. I also have the complete line up at the bottom. I made a cute little gift bag for my friends birthday. Inside are candies and a gift card. 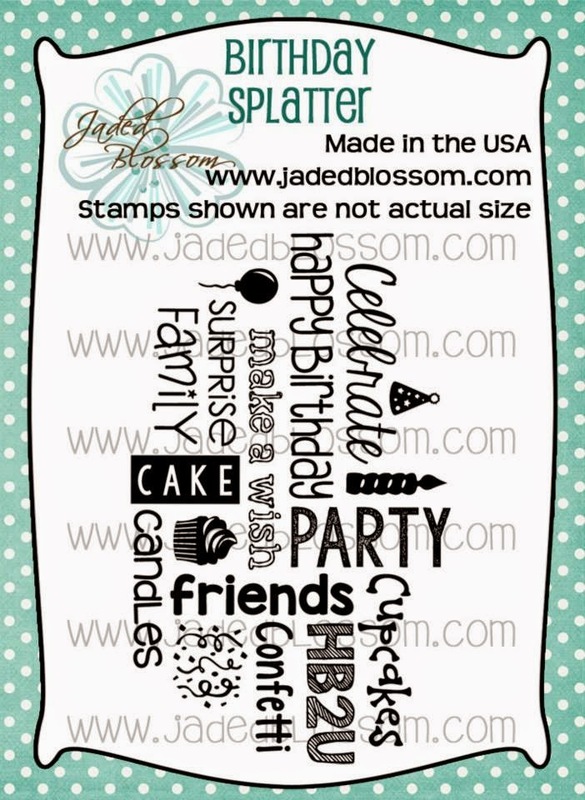 I used Jaded Blossom's Goody Bag Die, Seeds of Friendship, Supersized Birthday Greetings, Birthday Candies 2 and the new Birthday Dies. Great looking treat bag. Nice colorful cupcake with cherry on top. yes this is FAB ! love the color combo and the matting !! Very sweet bag, Love the cupcake. I love, love, love all of your projects this week! 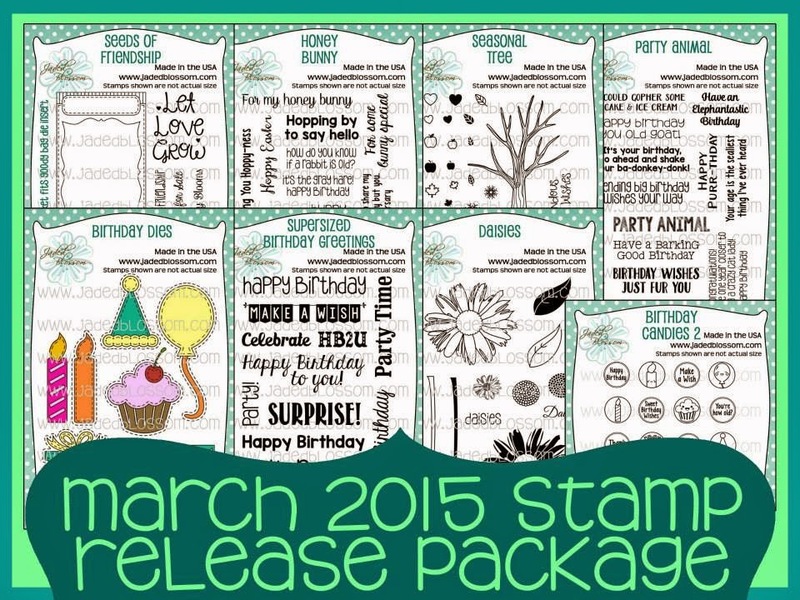 Can't wait to get my stamps! awesome treat bag! Thanks for sharing! Adorable treat bag...love that cupcake! omg so cute. I don't think I could ever make something this cute..
Love the cupcake and the treat bag. Very festive. Great job.. and clever idea.. Very cute love the cupcake!! Oh my!!! Your lil bag is adorbs!! Love the color combinations. Very cute. What a nice bag. This seed packet design is really great. This is fabulous!! Love the yummy cupcake! Cute card. Love the cupcake. Love the colors!! So cute! So pretty, I love the cupcake. 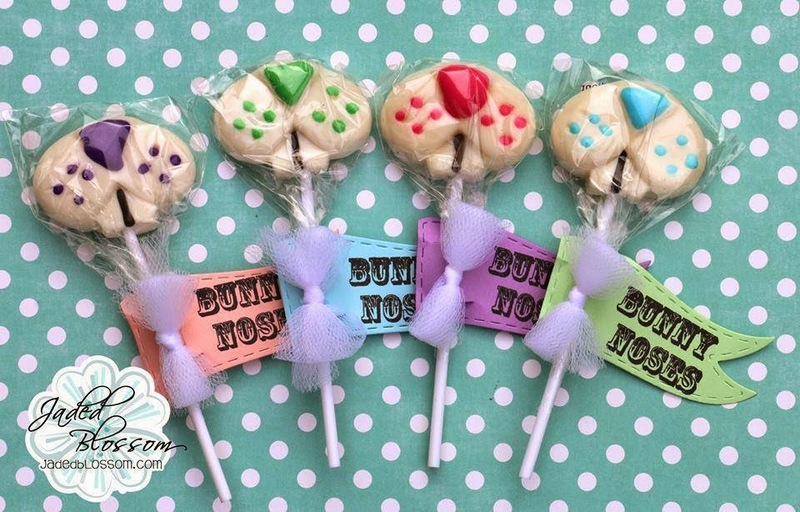 Sweet treat bag--I like the colors and the cute candies. 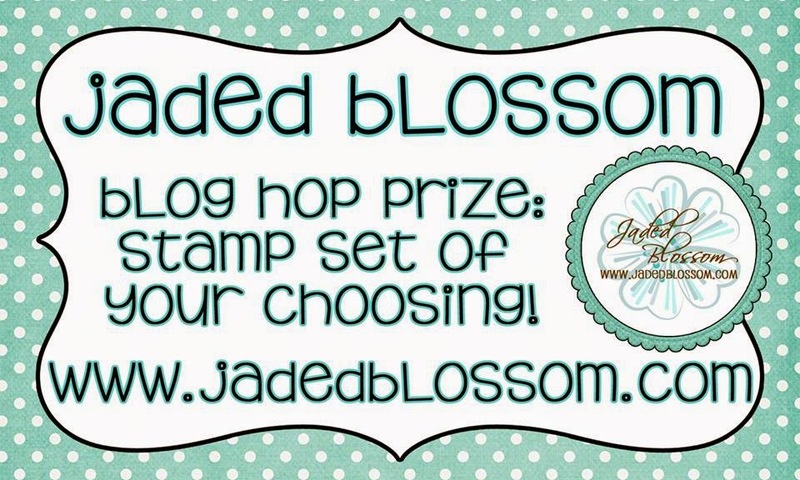 OMG Your treat bag is so Fabulous OMG I love it...golly gosh you sure rocked these dies and stamps....WOW you are one super clever, creative and oh so talented gal. YOU so ROCK!! Such a cute little treat! Would be so great as bday party favors!!!! Your cupcake card is amazing! This is SUPER SUPER cute! 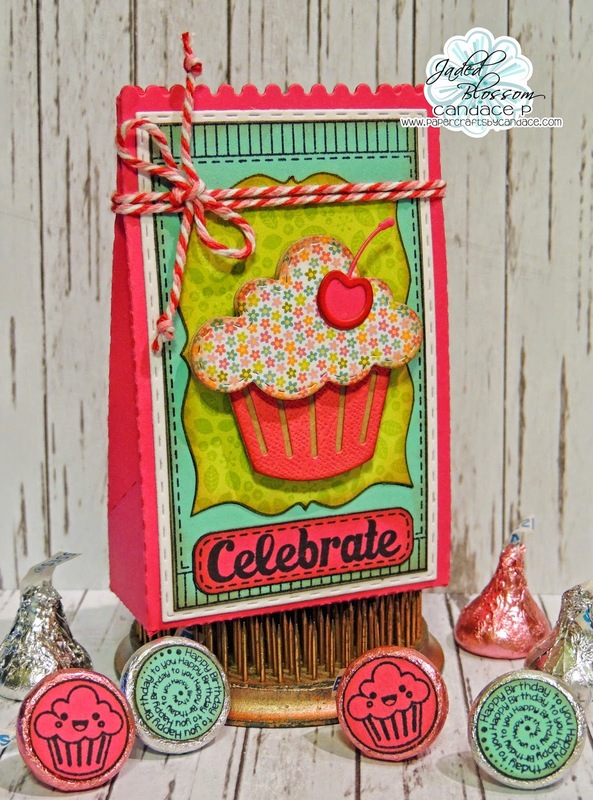 I love the birthday dies on the goody bag die!! Awesome treat bag!!! Love it! Fabulous treat bag! Love the cupcake on the front! Such a cute gift bag - love the cupcake with the cherry on top. Wow this is such an adorable gift bag!! LOVE it!! Sweet bag, something to reuse often! A gorgeous gift bag! Awesome job! Love everything. Gives me hope that I can one day do all these projects.